This reference material may be used to qualify the wavelength scale of Raman Spectrometers between 380 cm-1 and 3000 cm-1. It is cited for this purpose in ASTM 1840 - 96(2014). 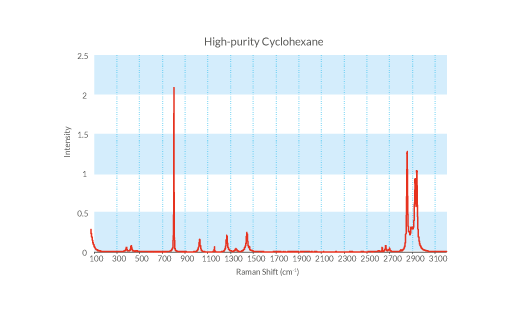 Compared to atomic emission lines, Raman shift standards offer an easier-to-use alternative for qualifying the wavelength scale of Raman Spectrometers. They are also independent of laser frequency. The Raman shift values for cyclohexane have been accurately measured and it is widely used as a reference material. 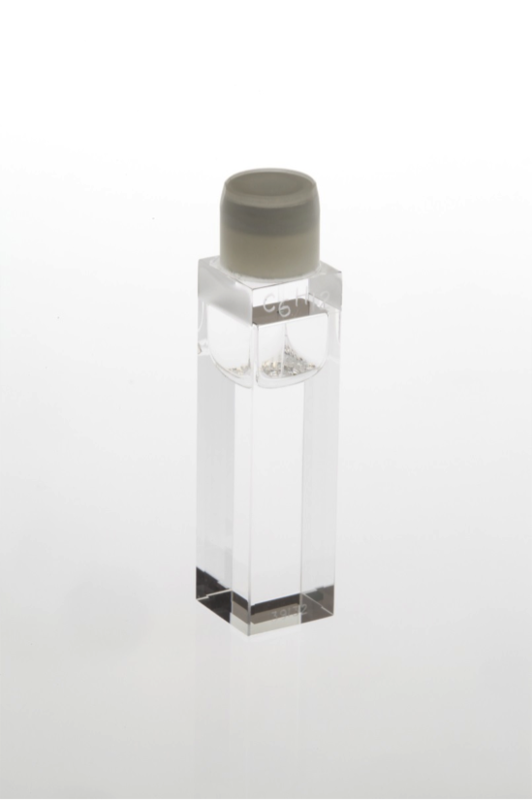 The permanently sealed cuvette eliminates the hazards associated with handling this volatile, toxic and highly flammable material. Using an excitation wavelength of 514.5 nm, 11 shift values covering a range from 384.1 to 2938.3 cm-1 can be identified. A Certificate of Calibration and full instructions for use are provided with each Reference Material. Starna Scientific is accredited to both ISO 17034 (4001) as a Reference Material producer, and ISO/IEC 17025 (0659) as a Calibration Laboratory for optical reference measurements. Starna offers a Lifetime Guarantee on all its Reference Materials.